Canon EOS R and RF Mount - Chasing The Alpha Again. Reviewing the launch of the Canon EOS R and RF mount and what it means for both new and existing Canon users. Looking at the performance of Super Telephoto lenses and their associated cost / weight / optical benefits. You pay a huge premium for the latest version of Canon super telephoto lenses. I bought an 11-24mm in early 2016 and have used it for Commissioned and personal work since then. In a nutshell, it's an incredibly sharp, heavy lens, that is more of a specialist item than say a ubiquitous 16-35 or 24-70mm. But, when you need that extra width it's a tremendous asset. I'd strongly recommend trying one first. I first tried the lens shortly after it was released in 2015. 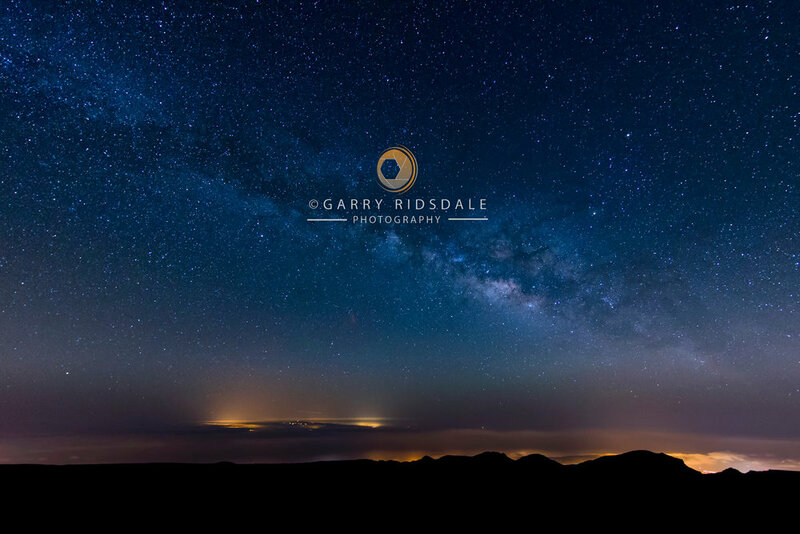 I was on a trip to Tenerife to photograph the milky way with a friend who had hired one. I used it alongside my 15 mm f/2.8 fish-eye (Canon) and Samyang 14 mm f/2.8. While f/4 might be considered slow for astrophotography the 11 mm wide angle meant slightly longer shutter speeds before star trails became evident. It certainly wasn't a limiting factor. The above image is almost full frame, the only piece of editing in Lightroom that made a noticeable difference was applying the lens profile. At f/4 vignetting is obvious and quite heavy. By the end of the trip I'd seen enough to know one would be very useful for a lot of my commercial work, particularly when you are trying to photograph a subject or environment that would normally be difficult to capture. It's heavy (1180g, so around a third heavier than the 16/35 f/2.8L III and double the weight of the 14 mm f/2.8L II), it zooms from 11 mm to 24 mm (126° diagonal angle of view) and has a widest aperture of f/4. It is incredibly sharp and handles distortion / aberrations well. Additional technical bits and pieces can be found on the Canon site. The first task when using it was to zoom it all the way out to 11 mm (why wouldn't you!). I was surprised how much wider 11 mm was compared to say 14 mm. 3 mm doesn't sound a great deal but in ultra wide angle terms every single mm makes a big difference. 11 mm 5DsR 1/500 f/8 iso 200. This is one example of how different the images can be taken with this lens. The Virgin 747 was on very short finals to land at Manchester and was literally above me. It took me half a dozen attempts to frame other aircraft properly before I got used to the rather weird sensation of looking through the viewfinder and seeing what appeared to be an aircraft much further away than it actually was. 11 mm RAF Tornado, Marham. 1/5 sec f/11 iso 100. Tripod. Again at 11 mm the front of the lens was very close to the front tube. The lens offered a totally new and dynamic perspective on the Tornado. Tornado Simulator- 11 mm vertical format, tripod & L bracket. This image was taken as part of some commissioned photography for a client providing training services to the RAF. The 11-24 & Canon 5DsR were mounted on an L bracket which was attached to my Arca Swiss D4 geared tripod head. The tripod was positioned in the rear seat of the Tornado - it took me a few minutes to set up. We set the simulator to create the effect of descending onto the island. At 11 mm on live view the scene looked superb. At 14 mm and beyond I lost most of the cockpit. 0.8 sec f/4 ISO 800. 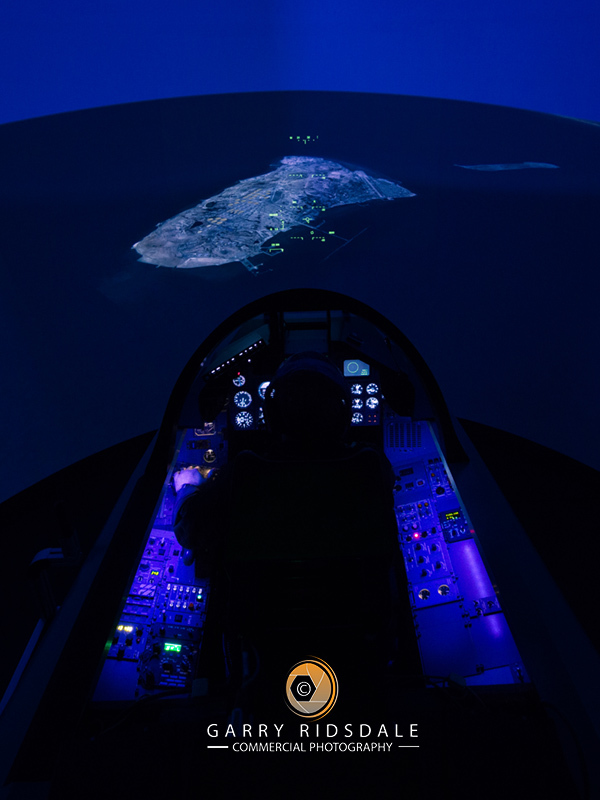 The images below were taken in the BAE Systems chalet at Farnborough 2018. While not a perfect comparison they give an illustration of the difference between 11 and 24 mm. While my position clearly changed it is hopefully evident how much more 11 mm offers. Note for example the large empty space in the foreground of the 11 mm image and how much stronger / pronounced the lines and shapes become. At 24 mm things tighten up with the aircraft fuselage more prominent. The versatility of the lens to deliver images of such varying perspectives is so useful. Both images were taken using a tripod. RAF Tempest - BAE Systems captured at 11 mm. 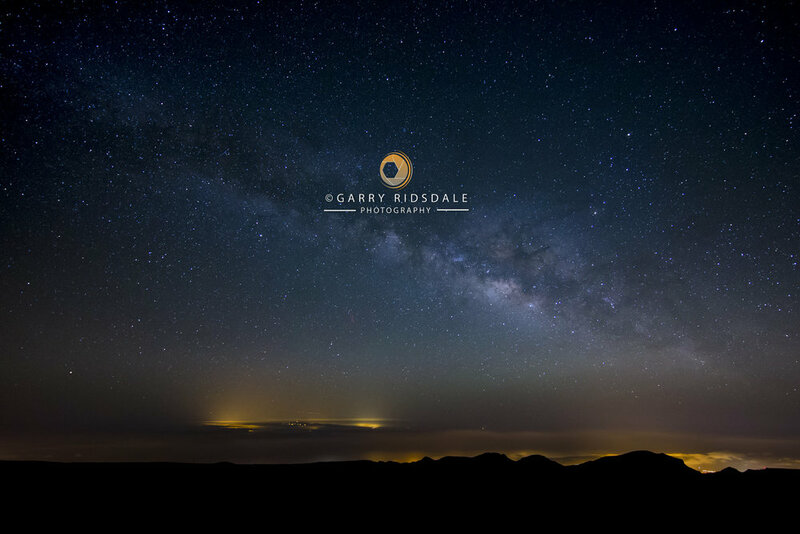 I generally don't go wider than 24 mm with my digital landscape images. If I did need something wider I'd use my 17 mm TS-E, or stitch an appropriate number of vertical images. Of course the 11 -24 is capable of delivering impressive results but I can't see that many uses of it below 16 mm for landscapes. In any event a crucial point to consider when thinking about it for landscape would be the use of filters. With say a 16-35 or 24 - 70 a 100 mm Lee filter system can be used across both lenses (and others), indeed for my 17 mm TS-E I only needed a specially designed adaptor ring to allow my existing range of 100 mm filters to be used. Filters for the 11 - 24 mm require an entirely new set of "larger" filters (150 mm), and a new adaptor and filter holder - this is the Lee SW150 system. To effectively repeat a similar set of 100 mm filters I already own would require around £800 of investment. I decided it wasn't worth it. Where Have I Used It? Looking through my Lightroom catalogue I've used it in the following areas. Aircraft simulators, office interiors, boardrooms, astrophotography, civil aviation, military aviation, corporate product work (in use), exhibition stands, museum / church / cathedral interiors and city scenes. It has become such a useful lens for my commercial work offering perspectives that are otherwise difficult to achieve. For my own personal work it allows me to create unique images with the ultra wide angle perspective emphasising lines and shapes resulting in more dynamic compositions. You quickly realise that you've got to be very, very close to a subject when using it at say 11 to 14 mm - subjects are easily "lost" if the frame isn't filled. This lens is an incredible piece of optical design and engineering. It is built like a tank (and feels like it) delivering superb quality with little distortion across the focal length range. Vignetting quickly disappears (like most lenses) after they are stopped down by 1 stop (to f/5.6 in this case). I would class it as a specialist lens that is really a tool for specific circumstances. If those circumstances are what you photograph regularly, either personally or commercially, I'd highly recommend it. On the other hand if you have a special one off need then I suggest hiring one and if you really like it buy one subsequently. It has been great to see a resurgence in Large Format film photography over recent years. There are probably many factors behind it but whatever they are more people seem to be enjoying the wonderful experience this medium offers. It is such a rewarding process to make just one picture - starting from loading a sheet of film into a dark slide holder, typically in a small light sealed changing tent, through to evaluating the light and making the exposure before bringing it all to life through development. It was therefore exciting to read that the team at Jobo Artisan, along with select industry partners, had launched a large format photography contest which I chose to enter in support. Their aim was to endorse the craftsmanship of analog photography with a large format view camera. 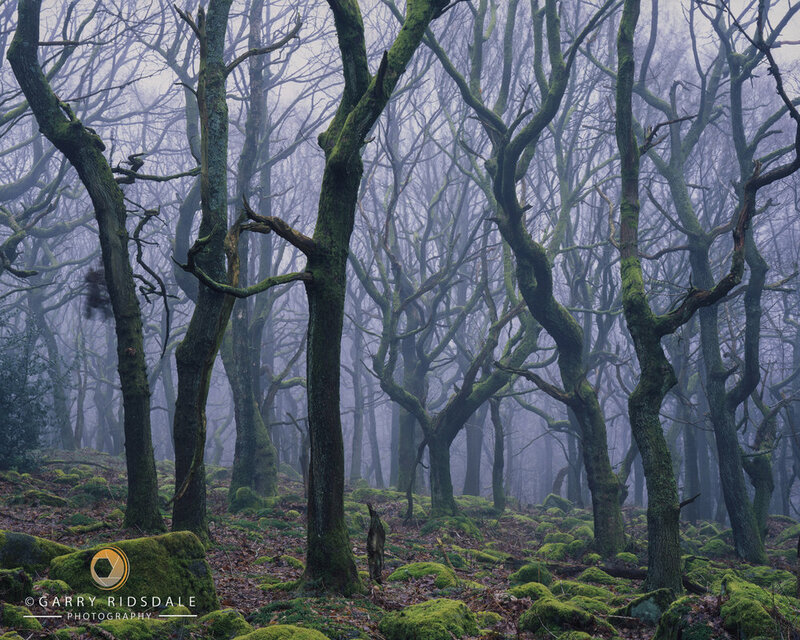 Spiral Forest - Peak District National Park, England. A couple of months later I received an email informing me I was one of 6 finalists - there is in fact no ranking (1, 2, 3 etc) just 6 winners if you like. I'll be heading off to Photokina (Cologne, Germany) at the end of September for the official award. Given the judges for this competition form a hugely experienced and talented group it is gratifying to be recognised by them. The Story Behind the Image. This part of the Peak District can be very rewarding for photographers, if the conditions are right. I've been to this area (Padley Gorge / Bolehill Quarry) countless times over the years and had spotted this group of trees during a walk in the winter of 2016. It's a little way off any path and a long way from the more commonly photographed areas. What grabbed my attention was the central tree which seemed to be shaped like a spiralling chalice (it pays to have an odd imagination as a photographer) and would be the obvious starting point of a future composition. As is often the case with woodland photography mist and fog add a much needed sense of intrigue as well as helping to simplifying a scene. Having the forest recede into the fog was a crucial ingredient for me to make this picture. With that in mind, and after several attempts when the conditions weren't quite right, everything came together on a cold, damp, foggy morning in April 2018. The image was made on Fuji Velvia 50 (rated at 50), taken on an Arca Swiss 5x4 with a Sinar S 210mm f/5.6 at f/32 for 1.3s. As is the case with Velvia the exposure had to be correct (there's really only 4 to maximum 5 stops in EV) Fortunately, misty, foggy conditions yield low contrast scenes making it ideal for velvia and the metering relatively straightforward, indeed I only made one exposure. Camera movements were also limited to some front rise. I spent around 2 hours trying different lenses/compositions before I settled on the one above. The key was to allow some clear space through to the central, chalice like tree, while retaining a sense of place.......... the fog/nature did the rest. As I only have the facility to process my own black and white work the transparency was sent off to William at The Latent Image for processing. I subsequently wet scanned it on my Epson V850 at home. Even with today's digital technology and post processing wizardry nothing compares to the entire process of making a large format landscape image on a sheet of velvia 50. I'd encourage anybody who hasn't tried it to give it a go, you'll see things so differently..........and I don't just mean upside down and reversed on the ground glass! Following success with being a category winner with the Smithsonian, Air & Space 2016 photography contest I entered an image from the Isle of Skye into the Travel category of the 14th Annual Smithsonian photo contest. Being a global competition, and not one restricted to just the UK, the depth and breadth of work is remarkable. Apparently more than 48,000 submissions were made from photographers in 146 countries and territories. The finalists received recognition around the world and were featured in many newspapers and magazines such as The Guardian here in the UK. My image (below) was selected as one of 10 finalists in the Travel category. Click on the image to view it on the Smithsonian page. I had completed some photographic tuition on the Isle of Skye a few days before the image was taken and decided to stay on to make some images of my own. It's such a fabulous place for anyone visiting and a photographers dream. The weather was awful for the tourist but ideal for photography. Weather fronts rolled in off the Atlantic throughout the morning and when I climbed up beyond the Old Man just after 8am, it and the Trotternish ridge were shrouded in cloud. Forever the optimist I set my equipment up and waited. Although the sun was bursting though the clouds periodically it was always away from the Old Man. At 1215 my luck changed. The cloud had lifted from the ridge and for no more than a few seconds the sun raced across the landscape and lit up the pinnacles. Although I had the image framed up and was ready with my cable release, of the 3 exposures I made only 1 saw the pinnacles in light. Any later in the day and the sun would have lit the other side of the pinnacles (to the right as you look at the image) which wouldn't have been seen. 1/40 sec @ f/11 ISO 100 | Lee 2 stop medium Grad | Manual Focus.